Before I knew nothing, I knew everything. 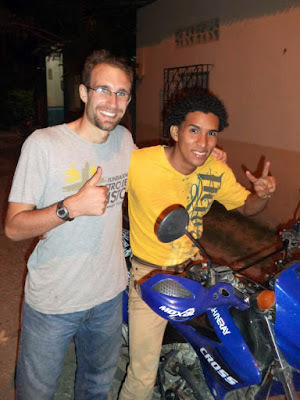 I had just graduated from John Carroll University and knew exactly where my next year would lead me – with a Bachelor’s degree in hand and two week-long immersion trips to El Salvador under the belt, this social justice warrior was ready to fix Ecuador. After all, a minor in Spanish and an open heart were all the tools needed to address the daunting poverty-scape of the developing world, right? Confidently armed with these skills, I remember rolling through the disparate sprawl of urban Guayaquil towards our final destination in suburban Arbolito, thinking about how I could follow the famed Ignatian aphorism to “go forth and set the world on fire.” A free bike maintenance service was my first idea – how great would it be if I could use my knowledge of bike repair to offer people a free service? Or maybe repainting the dilapidated benches and pews of the parish would help! I was ready to sweat, and sweat I did; but not for any of the reasons I thought I would. Over the course of the next year, I witnessed, experienced, and loved the true faces of those trapped in the whirring cycle of systemic poverty. But in order to do that, I had to first sacrifice the toxic notion that I could do for others and instead embrace the idea of being with others. 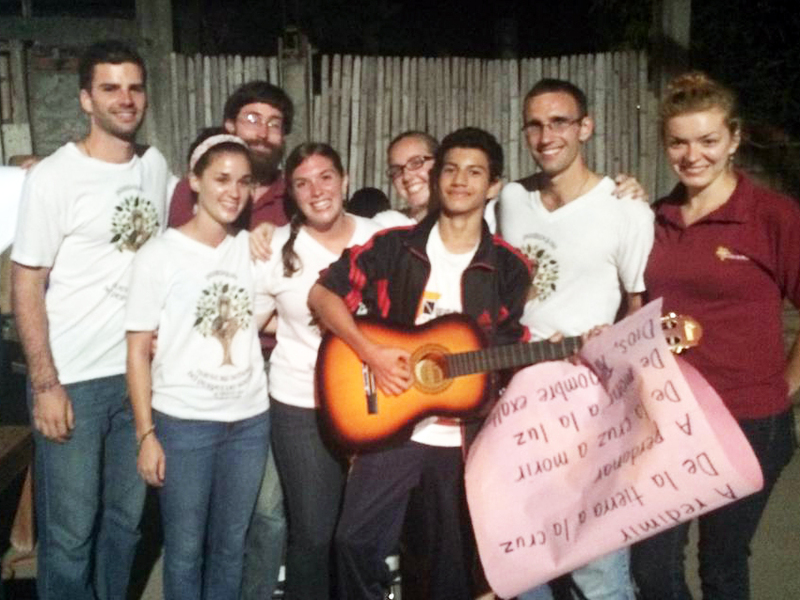 This is the mission of the organization with which I volunteered– Rostro de Cristo, the Face of Christ. We call this form of service a ministry of presence, the idea that our actions are temporary but our presence, our being, in the lives of those around us, regardless of the socioeconomic barriers that distinguish our backgrounds, is the most essential aspect of modern service. 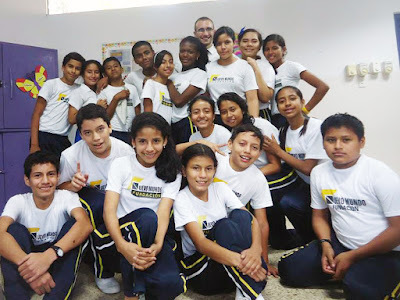 During the day, I did the standard activity trademarked to so many programs: teaching English to kids who don’t have access to great education otherwise. It was definitely rewarding every time I saw that bulb light up over a student’s head when the First Conditional finally clicked, and it gave me a sense of mission and purpose. But this part-time job of playing teacher was merely the backdrop of a deeper experience. At the core of our program were the five pillars that made up the Way of Life – Spirituality, Simplicity, Service, Community, and Hospitality. Our jobs provided a lens through which to contextualize these values, but our time with neighbors and each other helped us to truly understand them. At the end of the day, it’s all about intentionality. How are my decisions affecting the world? Where do I fit into the bigger picture? And is that bigger picture a portrait of justice for all or justice’s evil twin brother– privilege? Our seven-person community of volunteers worked in different parts of the city in different jobs – education, after school programs, healthcare, and community outreach programs, to name a few. But each night, after an exhausting day of being present to the Ecuadorian community, we broke bread together and eagerly shared the highlights of our days. For as many days as our stories were uplifting, there were a proportionate number that were heartbreaking. What do you do when a friend tells you that they won’t have water to bathe until the next day at some point (maybe)? What do you say when a mother of three tells you in confidence that her husband hits her? The answer is: Nothing. There is nothing you can do or say to change this reality. You listen. You cry. You try unsuccessfully to wrap your head around why it’s like this. And you pray that they will be able to find comfort in the solace of God and each other. As we digested our food each night, so we digested our days. We had community and spirituality nights each week where we sat down in the candle-lit corner of the house that we designated as our chapel and worked through the glorious and devastating mysteries that we were experiencing. I found that I was uncharacteristically silent during most of these nights – I yearned to share my feelings about what I had witnessed and gone through each day; but in the soft glow of the candles in the company of my volunteer family, I could rarely find the words to even begin to express my thoughts. I guess not much has changed. The founder of our program, Father Jim Ronan, once told us that this one year of service was akin to filling up a cargo container to the brim, which we would then gradually unload for the rest of our lives at the unlikeliest of times. So now it’s been three years, and I’m just starting to crack the combination lock on that cargo container, wading through the ocean of experiences and trying to figure out what it all means. I no longer live in the sweltering equatorial heat of a simple concrete house cooled only by grinding ceiling fans; I no longer cook for six other people on a strict poverty budget; I no longer feign simplicity to strive towards solidarity; I no longer dizzy myself spinning dust-covered five-year-olds out of their arm sockets to offer them a moment of the much-needed attention they might not otherwise get. So what does it all mean? I don’t know. In fact, I know less now than I ever have. But maybe that’s the whole point – it’s not about knowing, or doing; it’s about being and loving, and beyond that everything else will fall into place. To learn more about service opportunities through Rostro de Cristo, please click here.